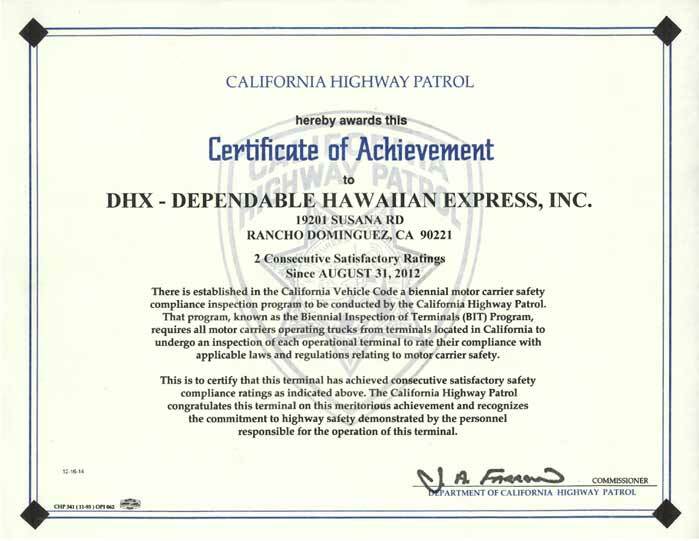 DHX – Dependable Hawaiian Express is a company and organization that have been independently audited and certified to be in conformance with ISO 9001. 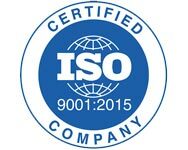 We publicly state that we are “ISO 9001 certified” or “ISO 9001 registered.” To achieve ISO 9001 certification, an organization needs to demonstrate that it can meet the regulatory requirements and apply the system effectively to be of real benefit to our customers. 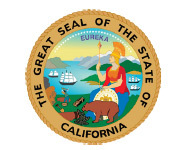 The California Highway Patrol (CHP) requires truck terminals to participate in the Biennial Inspection of Terminals (BIT) Program, a roadability safety inspection program that inspects chassis, trailers and trucks. 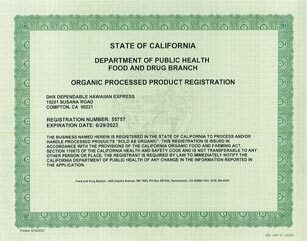 The law requires that truck terminals, register with the CHP, whereby safety inspectors check for compliance of the program. The inspectors verify the carrier has enrolled drivers into the Department of Motor Vehicles Pull Notice program. This program sends alerts to the carrier when a driver has a convicted traffic violation, license suspension or revocation. 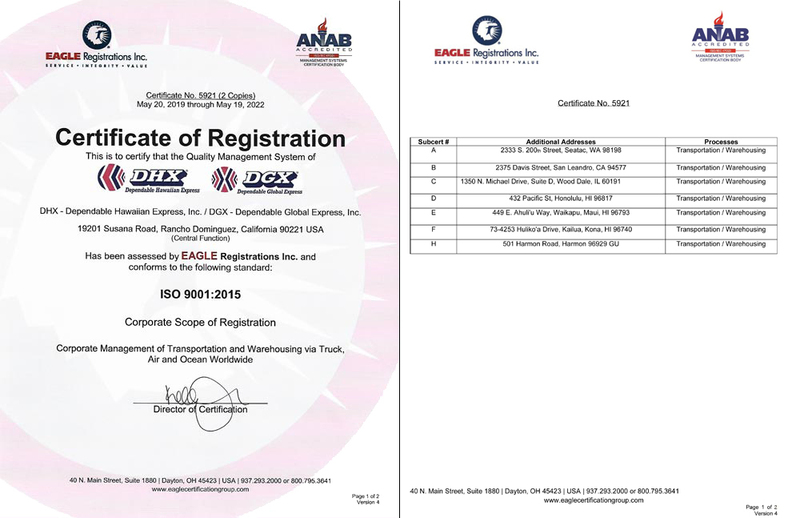 Additionally, inspectors verify the carrier follows practices to ensure compliance with drivers’ hours of service, vehicles and equipment are roadability safe, and maintenance practices are in place. 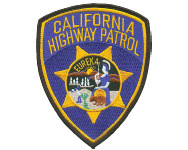 We proudly display our “badge,” our recognition from the CHP, the issuance of a Certificate of Achievement for having two consecutive BIT satisfactory ratings. We believe in safety first! The C-TPAT program is a U.S. Customs and Border Protection (CBP) premier trade security program. 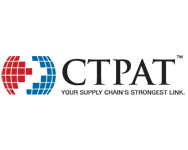 The purpose of C-TPAT is to partner with the trade community to establish clear supply chain security criteria and, in return, provide benefits such as expedited processing. CBP requires that C-TPAT company participants develop an internal validation process to ensure the existence of security measures documented in their Supply Chain Security Profile and in any supplemental information provided to CBP. As a part of the C-TPAT process, CBP C-TPAT Supply Chain Security Specialists (SCSS) and the C-TPAT participant will jointly conduct a validation of the company’s supply chain security procedures. 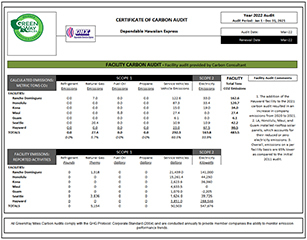 The validation process is essential to verifying the company’s commitment to C-TPAT. The guiding principle of the C-TPAT program is enhancing and ensuring supply chain security through a government-industry partnership. 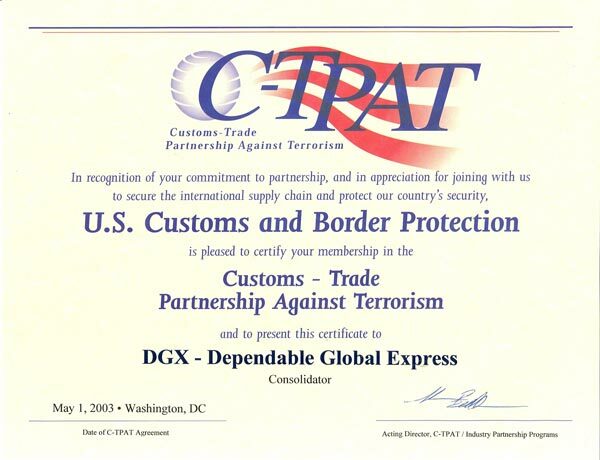 The C-TPAT program is voluntary and designed to share information that will protect the supply chain from being compromised by terrorists and terrorist organizations. The validation process will enable CBP and the C-TPAT participant to jointly review the participant’s C-TPAT security profile to ensure that security actions in the profile are effectively executed. Throughout the process, there will also be the opportunity to discuss security issues and to share “best practices” with the ultimate goal of securing the international supply chain. 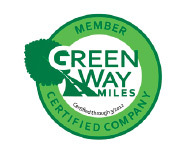 DHX – Dependable Hawaiian Express has partnered with GreenWay Miles to take advantage of an exclusive program aimed at helping the logistics supply chain measure its carbon footprint. 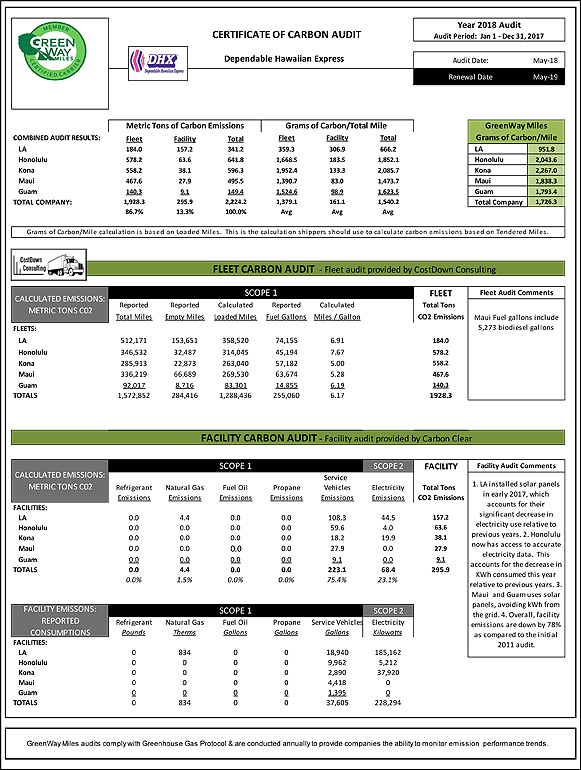 We recognize the nature of our transportation and logistics business and the large share of greenhouse gases it generates. As such, we are committed to reducing carbon footprint and making a positive impact on society. 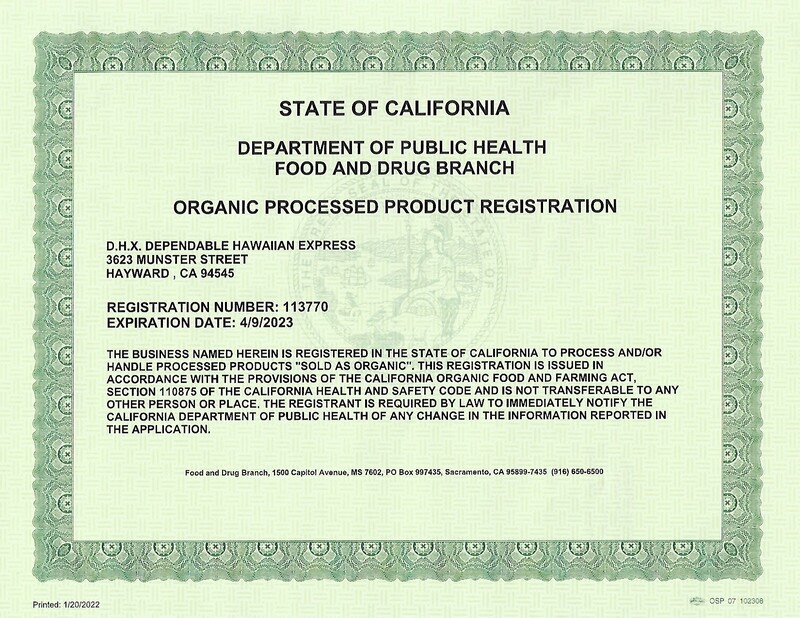 DHX – Dependable Hawaiian Express continues to diversify its service offerings to support the organic food industry. 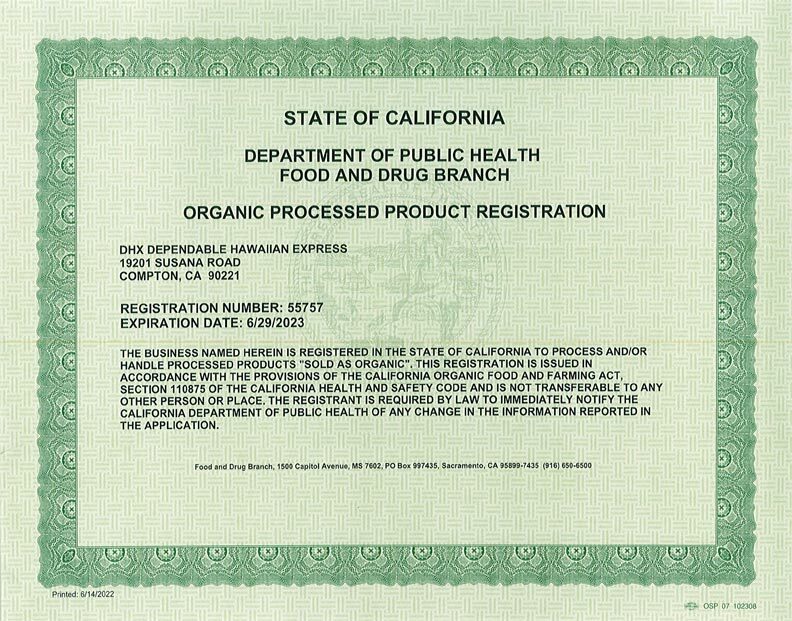 Our registration to handle processed products “sold as organic” issued by the Public Health Food and Drug Branch, by the provisions of the California Organic Act of 2003, Section 110875 of the California Health and Safety Code. Our support to this industry is evident by our registration and commitment. 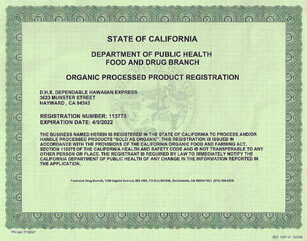 We are certified in our Los Angeles facility in Compton, CA, and our Oakland facility in San Leandro, CA.